Snow was expected to continue throughout the day. At least 3 people had been killed in crashes. 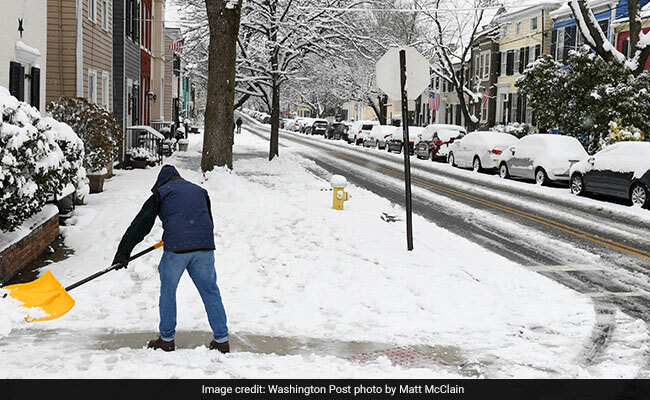 In the D.C.. region, the weather also impacted air travel - leaving hundreds of flights in and out of Reagan National and Dulles International airports canceled. Nearly a third of all departing flights at both airports were called off by noontime, while about a quarter of arriving flights at the airports were canceled, according to flight tracking website FlightAware. Dozens more were delayed; Baltimore-Washington Thurgood Marshall Airport fared slightly better but still counted dozens of delays and cancellations by afternoon. 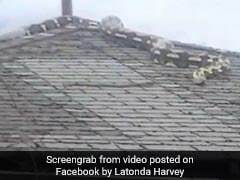 Lemos, a construction worker from Honduras who came to the United States 17 years ago, said his children delighted in a meteorological phenomenon not seen in his homeland. It was a day for rest - he had nowhere to go and nothing to do but enjoy his kids enjoying the weather. Metro opened as scheduled Sunday, and no significant issues were reported - though some buses detoured around snowy roads and faced delays. For some newcomers - to the region, to life - the first big snow in two winters was their first. 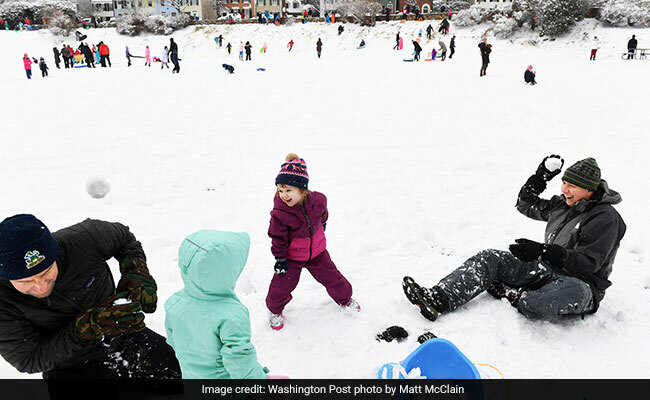 In yards and parks, they puzzled out Washington at its white and fluffiest. 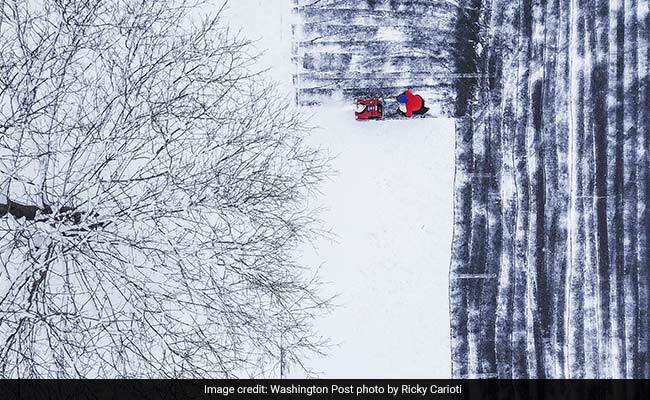 In a small playground within the black-and-white photo that was Sligo Creek Parkway in Takoma Park, Maryland, Apollo Gardiner, 2 1/2, fell earnestly to the ground and flapped his first snow angel into being under his parents' tutelage. He had already made his first snowman. "It was sort of a snow ... creature," said his mother, Ruby Snyder, 33, a therapist.